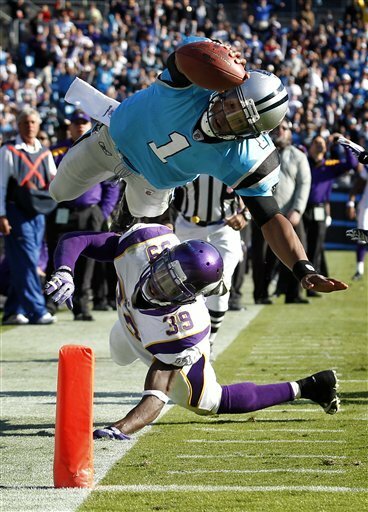 Can Newton Take Another Step Forward in 2012? As Panthers training camp starts, one of the biggest questions is how will Cam improve on last year’s season? Newton had one of the best rookie seasons in NFL history. He passed for 4,051 yards, which is the most passing yards for a rookie ever. He went on to break more records this season including most rushing touchdowns for any QB with 14. Last year with the shorter training camp do to the lockout Newton did not get to connect with his Receivers like rookies in the past. This year how ever he has a full training camp to master the playbook. His offensive line is one of the best in the League with Jordan Gross and Ryan Kalil as the backbone of the O line. The Left Guard Silatolu who is a rookie out of Midwestern State, he still has a lot to learn but has lots of raw power. One of Newton’s most powerful weapons is his feet and with a strong running game it is hard to guess if he will be running the ball or passing. 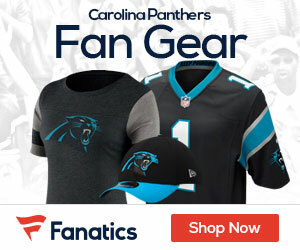 The Panthers have one of the Leagues best Dynamic Duos at Running back with DeAngelo Williams and Jonathan Stewart. These Running Backs cause the defense having to focus on three weapons with running the ball. The Panthers have an average receivers core. Steve Smith is Newton’s number one target and has become one of the toughest players in the NFL. LeFell is the second WR he is young and can get much better but at this point in his career lacks some of the tools to become a great WR. Overall Newton has the put in the time and has the weapons around his offense to make this season just as good if not better then last year. 1. You seriously need to work on your grammar. Did anyone ever teach you how to use a comma? I do not think so. 2. I know that vision of the past is always 20/20, but everyone should have seen this coming. I know an idiot who drafted Cam Newton in the first round, and he lived to regret it throughout his fantasy season. He traded Cam within a few weeks of the beginning of the season. You sir, might just be that idiot in another league. Cam Newton may be an average quarterback, but he was much more suited to college than to the NFL. He also has no team behind him, and especially no offensive line to protect him. With all of this in mind, I have two suggestions for you. 1. Go back to kindergarten and learn how to right.